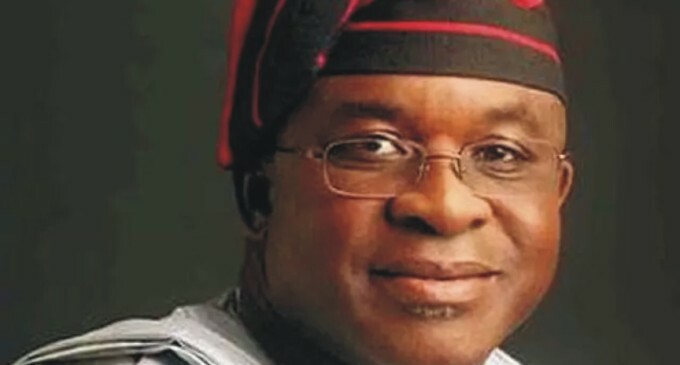 Former Senate President David Mark is to account for over N5.4billion slush cash and campaign funds traced to him. Detectives will today grill Mark on four issues. Mark it was learnt, requested to be allowed to travel home to Otukpo, Benue State, after his preliminary grilling at the EFCC on Thursday, to fetch documents to exonerate himself from the allegations. N550m arms procurement cash;N2.9billion curious payment into National Assembly’s account, which was shared to Senators during his tenure; andhis role in the N2billion campaign funds meant for Benue State. Mark, in a statement by his Media Assistant Paul Mumeh, yesterday faulted the EFCC and insisted that he kept a clean record as a public officer. The statement said: “Our attention has been drawn to media reports wherein it was reported that former President of the Senate David Mark was quizzed by Economic and Financial Crimes Commission (EFCC) over some alleged financial transactions. “To set the record straight, Senator Mark was invited by the EFCC via a letter addressed to the National Assembly to answer questions on the 2015 presidential election campaign funds as it concerned Benue State. “As a law abiding citizen, Sen. Mark honoured the invitation. “Curiously, they also alleged that the Peoples Democratic Party (PDP) paid over N2bilion into the National Assembly’s account which he, as the then President of the Senate, allegedly shared among the 109 Senators (including PDP, ACN, and ANPP) in 2010. Again, to the best of his knowledge, Sen. Mark is not aware of such transaction. “ This simply did not make sense to any right thinking member of the society. Sen. Mark wondered why anybody would think that PDP will pay money into National Assembly account. He, however, clarified all the issues raised before returning home. “Sen. Mark believes in due process and rule of law. He has maintained a clean record of public service over the years and will continue to uphold the highest standard of conduct expected of public servants. “Sen. Mark’s house has since become a pilgrimage of sort to politicians across party lines, friends and well-wishers identifying with him at this moment. “He however appealed to his supporters, friends and associates to remain calm and see his current travails as a price he has to pay for leadership.